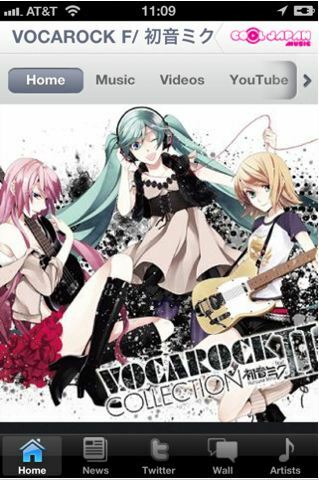 The Cool Japan Music App for Apple products has included Vocarock Collection 2 feat. Hatsune Miku in its music selection! 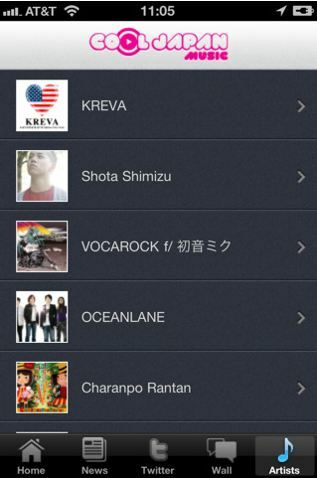 The app is free the download and comes with other types of Japanese music. Follow the jump for links and the track listing! The original album was released at Dec 15, 2010 and now the Cool Japan Music app picked it up for their app. The official site of Cool Japan Music wrote an article about the album and I think it is quite adequate in explaining the album and what Vocaloid is in general! You can also purchase the album from iTunes for 10.99 USD or 0.99 USD per song. Track listing is below and the link to the app is here! I was under the impression that Kuwagata-P's "Hystery" featured Gumi, not Hatsune Miku? Shinitagari, Top Secret and Maigo Life? That's an awesome album!